The harbour of Agios Konstantinos is situated in the Prefecture of Fthiotida and connects with ferries and hydrofoils mainland Greece with the North Sporades (Skiathos, Skopelos and Alonissos). For information from the port authority for the departures and arrivals of ships to and from the port of Agios Konstantinos can be dialed on the phone (22350) 31756.
the route Athens-Agios Konstantinos lasts approximately 2.5 hours and the distance is 165 km. From the center of Athens in Kaniggos square start buses for the harbour of Agios Konstantinos. Alternatively you can go to Agios Konstantinos with buses from the bus station KTEL "Three Bridges" (210 8317047). With a taxi to the port of Ag. Konstantinos, the travel time from Athens is reduced to 2 hours but it's expensive option. From the harbour of Agios Konstantinos depart daily high-speed and conventional type ships for the islands of Sporades, Skiathos, Skopelos and alonissos. From the harbour of Agios Konstantinos departing high-speed Flyingcat of Hellenic Seaways and the ferry Express Pegasus of the same company. 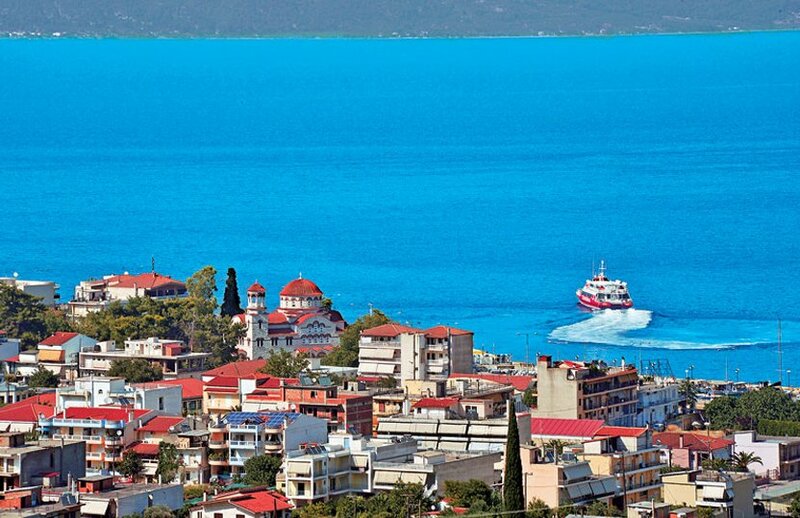 Air Champion24 .com offers ferries to and from Agios Konstantinos on all services performed from any port of Greece. You can easily search and choose your ferry route that it serves, easily and instantly. The booking takes place in real time using your credit card or by making a booking with the help of the staff of our Office.